visit John Ball Zoo – From Memorial Day to Labor Day the zoo will offer the “Realm of Flight” bird show, featuring 10 birds. Three showtimes are offered each day. 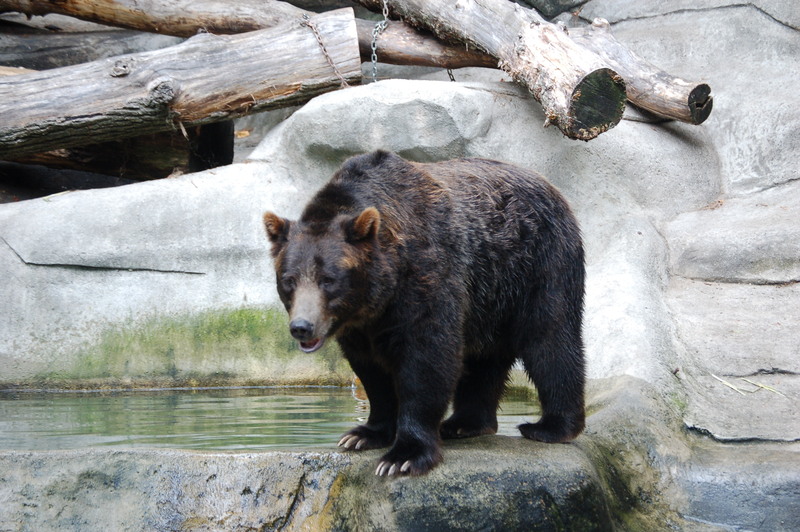 This zoo is close to downtown and continues to grow and improve. Favorite animals include the lions, tigers, penguins, chimpanzees, grizzly bears, river otters and more. Be sure to check out the new Butterfly Exhibit! Try out the zip line, navigate the ropes course, or hop on a camel for an unforgettable experience. More information at http://www.jbzoo.org/. 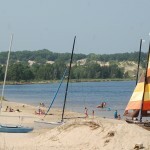 enjoy a day at Millenium Park – This park offers plenty of opportunities for outdoor recreation, or a nice sandy beach if you’re looking to relax and soak up some sun. 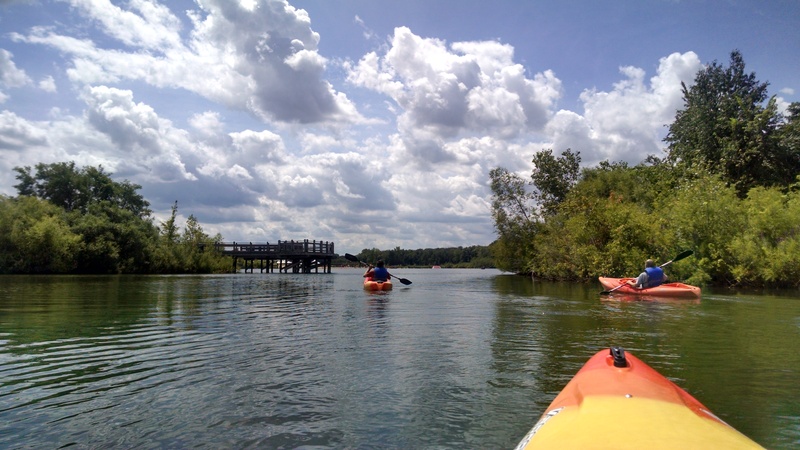 You can rent kayaks, paddleboats and stand-up paddleboards here and get out on the water, swim, or check out the splash pad. There are also a few miles of hiking and biking trails and a playground, basketball and volleyball courts, and opportunities for fishing. Head over to https://www.kentcountyparks.org/millennium/ for more information and directions. 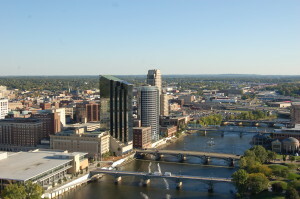 visit the Grand Rapids Children’s Museum – current exhibits include Diagnosis: FUN (see what it’s like to be a nurse, surgeon, doctor, or medical technician), Amazing Dinosaurs!, Little Grand Rapids, Bubbles, Wee Discover (for those 5 and under), Just Playing Around (musical instruments made out of unusual objects) and the Imagination Playground. This is hands down the best option in town for hands-on educational fun! Find out more at http://www.grcm.org/. take in a West Michigan Whitecaps game – Nothing says summer like a baseball game, and the Whitecaps continue to be one of the best in the area both on and off the field. The six-time Midwest League champs will welcome in former Detroit Tigers players on select “Tiger Fridays,” and that’s just the beginning of special events this summer. 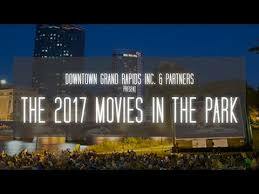 Saturday, June 10 will feature violinist Daniel Davis, Clifford the Big Red Dog will be at the game on June 11th and June 24th is the always popular Star Wars night. June 25th is Dog Day, June 28th is Pokemon Mania Night, and XPOGO will entertain fans on June 29th. 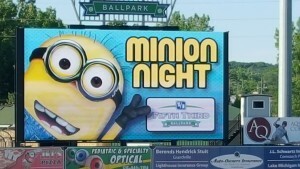 In July the team will host Minion Night on July 12, Sandlot Night on July 13, and Superhero Night on July 29. August events include 90s Throwback Night on August 11th, Princess Night on August 23rd and Harry Potter Night on August 26th. Find out more and grab tickets at whitecapsbaseball.com. 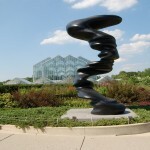 take a stroll at Frederik Meijer Gardens – As it continues to grow and gain praise as one of the Midwest’s top attractions, Frederik Meijer Gardens remains one of the best spots in Grand Rapids for a family outing. 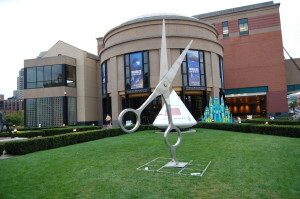 Kids will love the Storytelling Garden, Great Lakes Garden, and The American Horse. 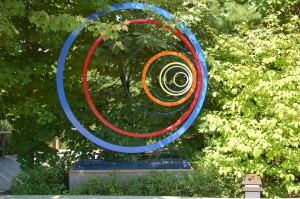 Meijer Gardens’ Sculpture Park has more than 170 pieces, the Lena Meijer Conservatory is home to tropical plants, and the Richard and Helen DeVos Japanese Garden features eight acres dedicated to “tranquility, simplicity and beauty.” Other great attractions include the Michigan Farm Garden and the Wege Nature Trail. 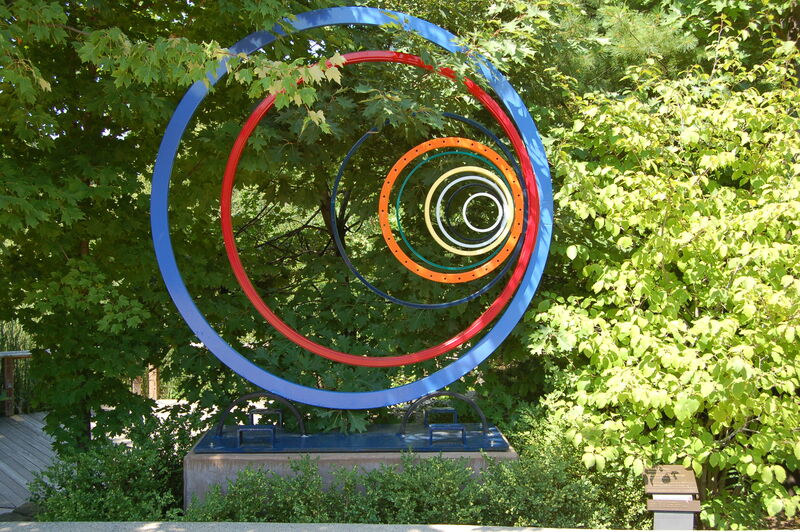 In the summer, the Frederik Meijer Gardens Amphitheater hosts a variety of concerts, some are free and others are ticketed events featuring nationally-acclaimed artists. 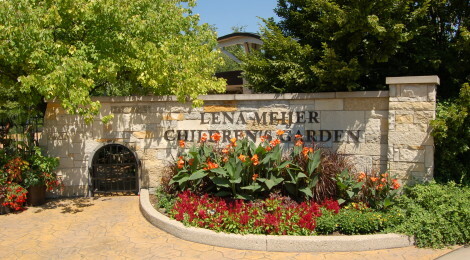 More info: http://www.meijergardens.org/. visit the Grand Rapids Public Museum – The Public Museum has an amazing exhibit on the history of Gran Rapids, the Chaffee Planetarium, a working 1928 carousel and more. Its summer exhibits include Creatures of Light (an exploration of organisms that produce light) and Mindbender Mansion (a hands-on collection of puzzles and brainteasers). Find out more at http://www.grpm.org/current-exhibits/. 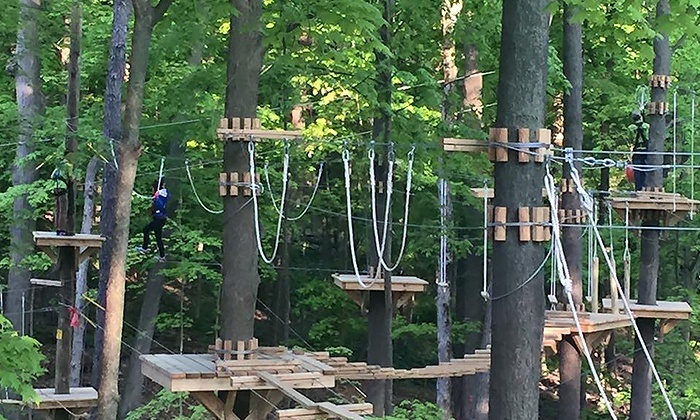 test your skills at Grand Rapids Treetop Adventure Park – Located next to Celebration Cinema’s Knapp St. location, this new attraction is open on weekends through June 16 and will then be open seven days a week after that. 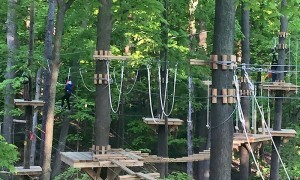 Visitors can climb, swing, balance and soar through a man-made treetop trail. “Courses require participants to use a wide variety of skills such as strategic and creative thinking, balance, strength and patience. 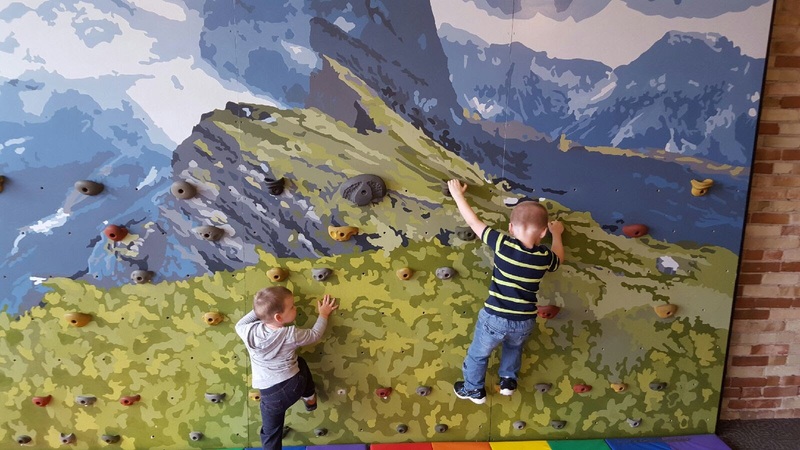 You’ll be sure to use muscles and critical thinking skills you don’t use on a daily basis.” Head over to http://treetopadventuregrandrapids.com/ for details, waivers and pricing info. 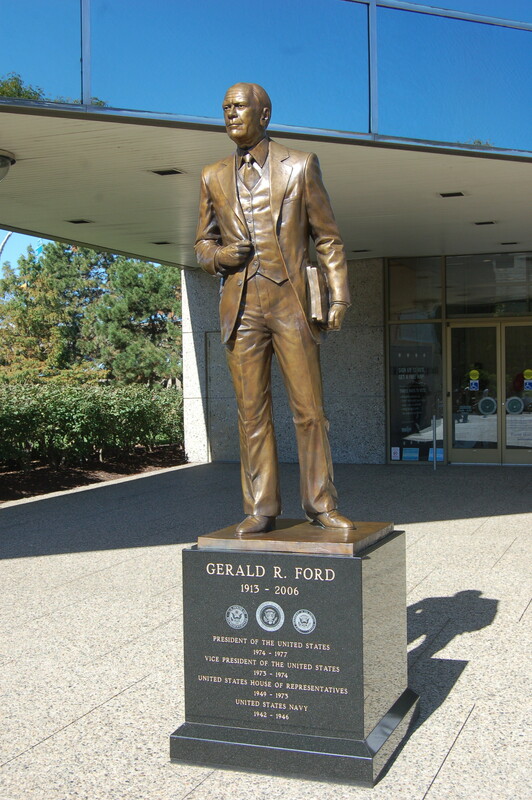 explore history at Gerald R. Ford Museum – Learn about the 38th President of the United States and Grand Rapids native Gerald R. Ford. 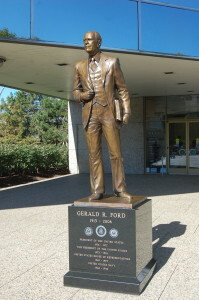 Museum exhibits include a permanent collection of displays that focus on Ford’s time in office, the 1976 Bicentennial celebration, the Boy Scouts, Ford’s childhood and early life, and more. The current temporary exhibit at the museum is “Amending America,” where visitors can “discover the remarkably American story of how we amended, or attempted to amend, our Constitution in order to form a more perfect union.” Find out more at https://www.fordlibrarymuseum.gov/. 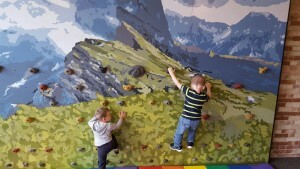 get hands on with nature at Blandford Nature Center – This nature center on the north end of Grand Rapids recently opened the new Mary Jane Dockeray Visitor Center, a building that has a auditorium, amphitheater, and a wildlife education center. 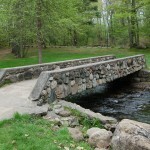 Other things to do at Blandford include hiking the trails, participating in special events or summer camps, checking out the farm, visiting the children’s garden, and more. 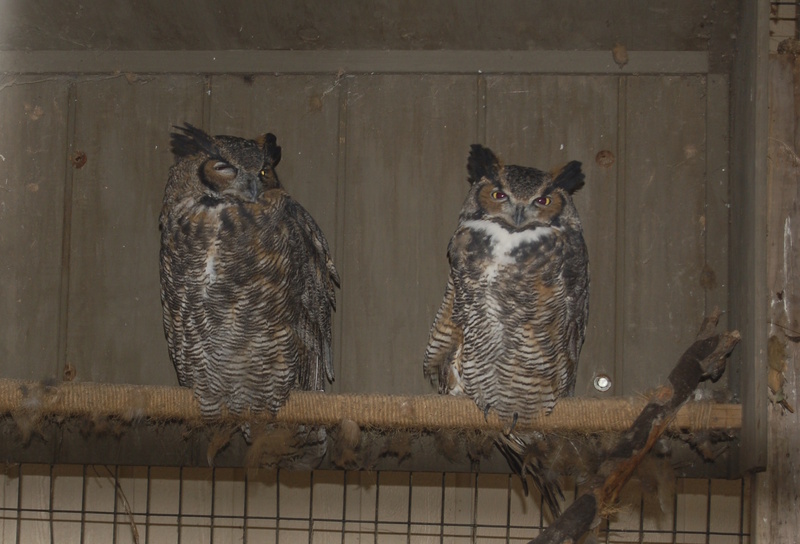 Injured/rehab animals on site include a bobcat, hawks and other birds of prey, owls, and a turkey vulture. 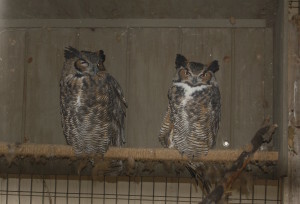 Find out more at http://blandfordnaturecenter.org/.